Ozone pollution — also known as smog — is a growing problem in Utah, both in the state’s urban areas and in largely rural regions where oil and gas development has been directly tied to unhealthy air. That’s why new draft rules for oil and gas emissions released yesterday are a breath of fresh air for the Beehive State. These new standards are designed to reduce the amount of smog-forming volatile organic compound (VOC) pollution emitted from both new and existing oil and gas sites across Utah. If strengthened and finalized as soon as possible, these rules will help limit Utah’s smog problem and protect Utah families from asthma attacks, respiratory problems and other health issues. Improved leak detection and repair requirements without carve outs for lower producing sites. Numerous scientific studies have shown that frequent leak inspections are one of the best, most cost effective methods to limit oil and gas air pollution. Frequent inspection requirements are also currently the law of the land both federally (though subject to a great deal of uncertainty from the Trump administration) and in neighboring states. Utah’s air deserves a level playing field. Apply rules to the full suite of hydrocarbon pollution, not just VOCs. By casting a wide net to limit all forms of hydrocarbon air pollution from oil and gas wells, Utah will stay coordinated with federal rules currently in force, help foster additional Utah jobs in the growing methane mitigation industry, increase revenue to the state by capturing more hydrocarbons currently being wasted, and demonstrate the state’s ability to lead as neighboring states like Colorado have done. An infrared camera reveals leaking methane at an oil and gas facility in Utah’s Uinta Basin. With these new oil and gas rules Utah is joining a growing list of states including Wyoming, Colorado and Ohio that have stepped up to limit this source of pollution and better protect the health of impacted communities. This is a vitally important issue as the Trump Administration is fighting at every turn to weaken and water down recently enacted methane protections from both the Environmental Protection Agency and Bureau of Land Management. 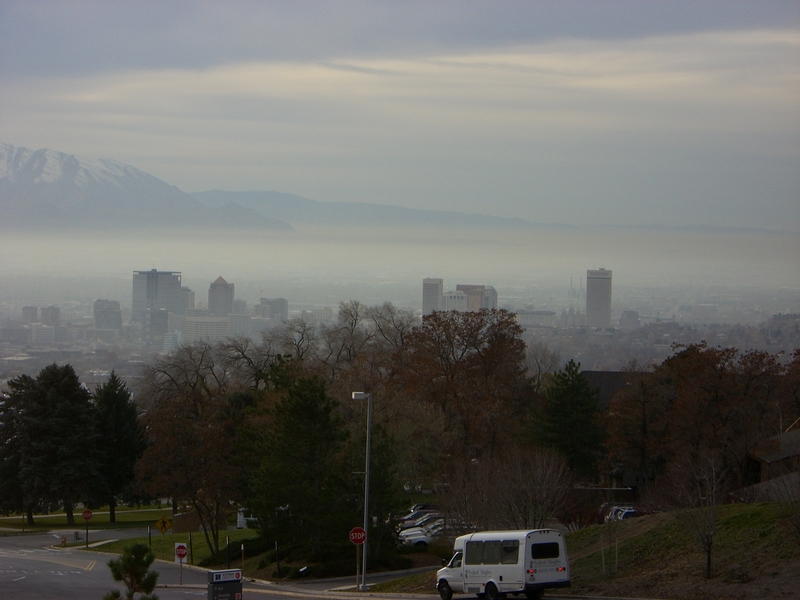 If strong standards are implemented in Utah, it could deliver significant improvements to the state’s air quality, and reduce the number of asthma attacks and hospital visits that Utah residents undergo as a result of high ozone levels. Reducing ozone levels is unquestionably a high priority for Governor Herbert and the state of Utah, and the DAQ is wise to make oil and gas emissions a part of that effort. As states like Colorado have shown, provisions that target total hydrocarbons and require frequent leak inspections are proven cost effective pathways to improving air quality and generating increased revenue from oil and gas development. This entry was posted in Air Quality, Methane, Natural Gas. Bookmark the permalink. Both comments and trackbacks are currently closed.